If you are concerned not just about your sexual health but your overall wellness, read on. 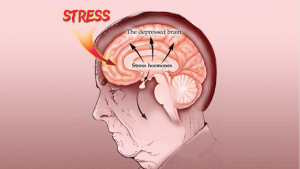 Cortisol, a hormone produced by the human body to deal with physical and mental stress, increases in your blood as you feel stressed whether physically, mentally, or emotionally it is not called the “stress hormone” for nothing! What you should be aware of is how high cortisol level affects a number of chemical balances in your system, potentially increasing your disease risk. Consume a healthy, balanced diet made up of vegetables and fruits. For example, low-glycemic index foods help lower cortisol levels in your body. These dietary sources include eggs. On the other hand, whole grains help proteins control cortisol production in your body. Furthermore, vitamin B5 and folic acid can help lower cortisol, and you can enjoy this benefit through fish, beans and peas, and fruits such as oranges. Avoid eating processed sugars and flours. Exercise regularly for weight management. Having good fitness levels produce feel-good hormones that are known are endorphins, which are released in your brain to fight stress and anxiety. Work out using a comprehensive exercise program to reduce your excess cortisol production. Take vitamin and mineral supplements, especially as today’s food is nutritionally deficient and do not always satisfy your nutrient requirements. Vitamin C particularly lowers your cortisol levels. Folic acid, on the other hand, controls the action of your adrenal glands, which are responsible for producing cortisol. Relax and meditate for at least 20 minutes per day. This can be done in different ways, such as meditation and prayer, reading and journaling, listening to music, prayer and medication, and spending quality time with pets. 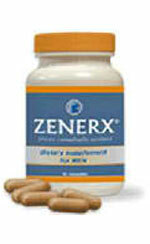 Relaxation allows you to reduce and manage daily stressors, allowing for hormone regulation. Use helpful herbs and spices. Herbs such as tulsi or the holy basil will help lower your cortisol levels. Other herbs for this purpose include dong quai and Astralagus, which can be bought in local health food stores in supplement form. 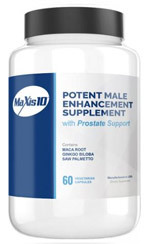 Just like in using male enhancement pills, consult your doctor, especially if you have an existing medical condition that you have a prescription for. 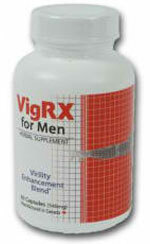 Keep reading this blog for more news and updates on sexual enhancement and men’s overall health!